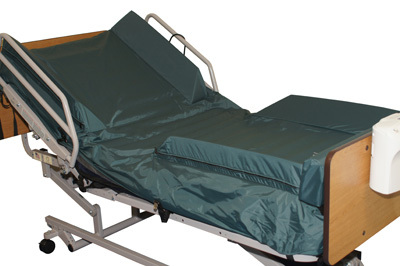 The perimeter mattress cover aids in fall prevention while reducing the restraint issues associated with side rails. The cover is made of nylon with Internal Foam Filled Bolsters on sides. The bolsters have an opening in the center to allow for easier patient access. Cover has four straps to attach to bedframe, if desired.